Game of Thrones is heading into its 5th season starting April 12, 2015, and has become considered one of the greatest television series of all time. 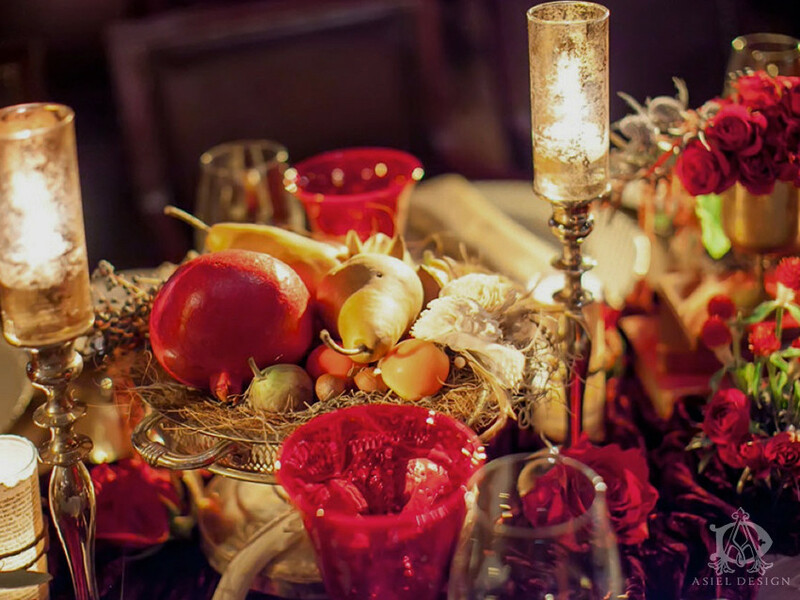 This exciting world has captured old world, medieval types and renaissance enthusiasts inside all of us, and has given us a perfect excuse to dress up and play Kings and Queens…in public. 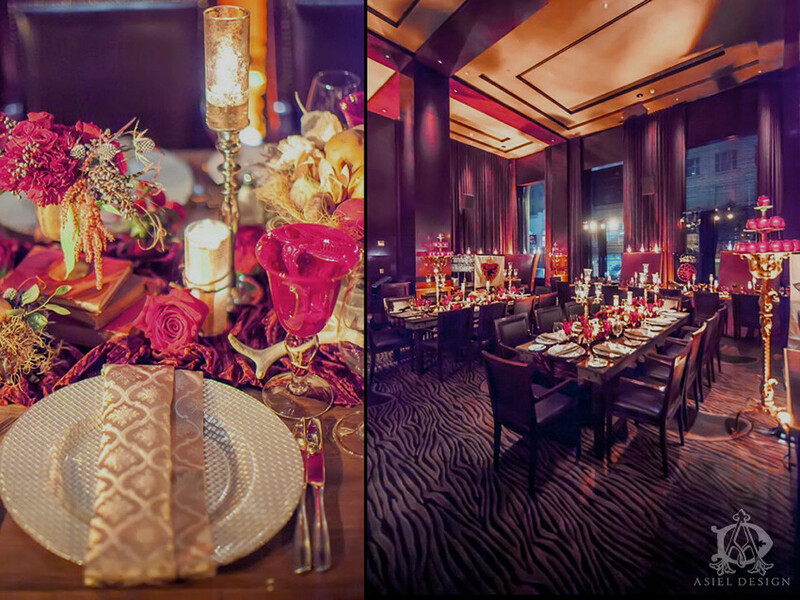 In December of 2014, Duncan Reyes Events by Design partnered with Asiel Design to throw an event for AVG Technologies at the Clift Hotel in San Francisco. 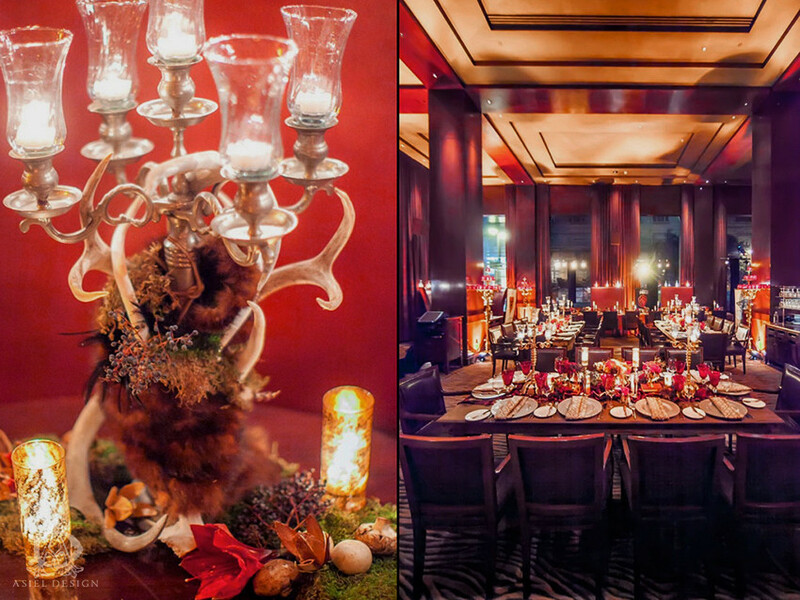 Even though the Clift Hotel has many event rooms available, this event took place in their restaurant, which was bought out and transformed for the evening. 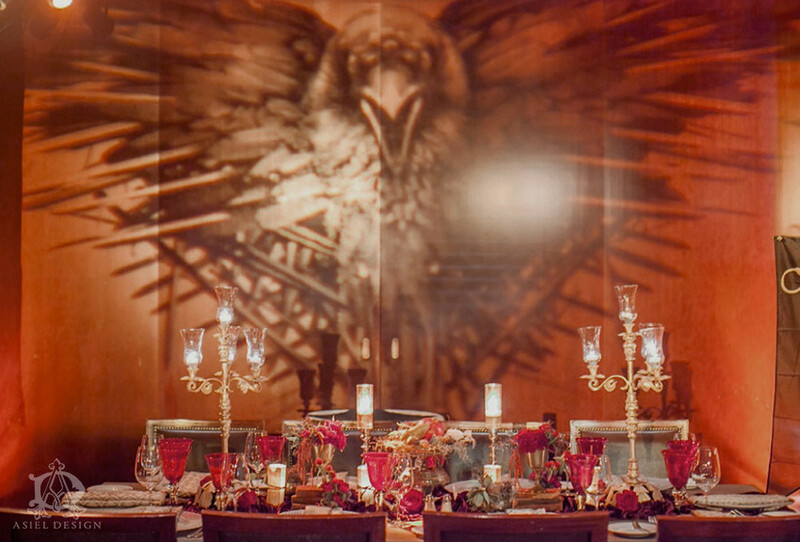 With 4 8ft long tables each representing a house from Game of Thrones, team building exercises, a DJ and hired entertainment of characters alike provided by Gatsby Entertainment, this event sets the stage for future 2015 Game of Thrones events! 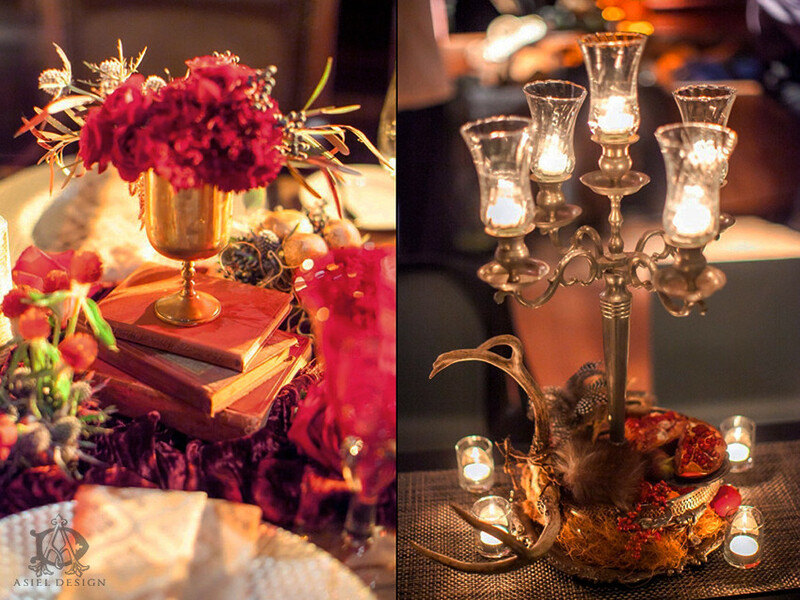 While Duncan Reyes took on the event design and planning, Asiel Design teamed up with Tulio Flores for the floral design and design elements on each of the tables. 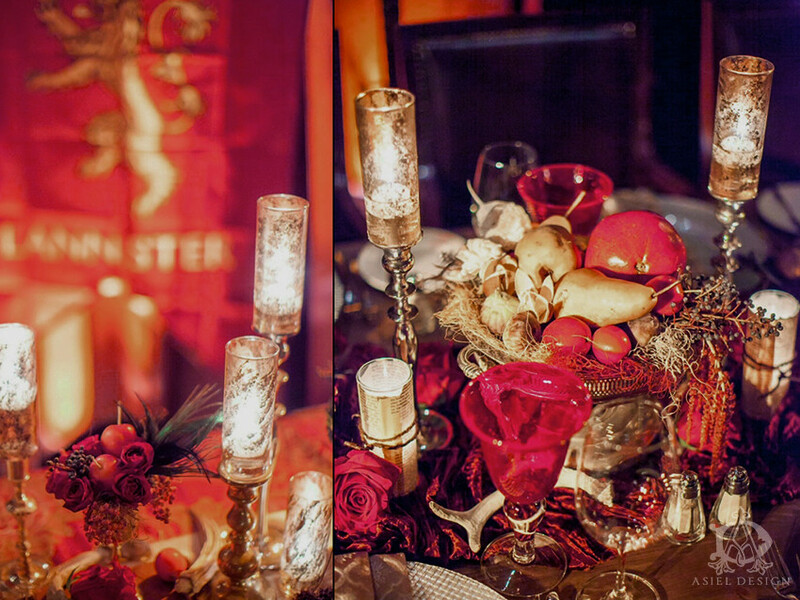 We treated each table like an individual art installation by blending old world with new world pieces, antique books, moss, figs, nuts, custom gold candelabras, spray roses, fruits, berries and animal horns (slide 4). 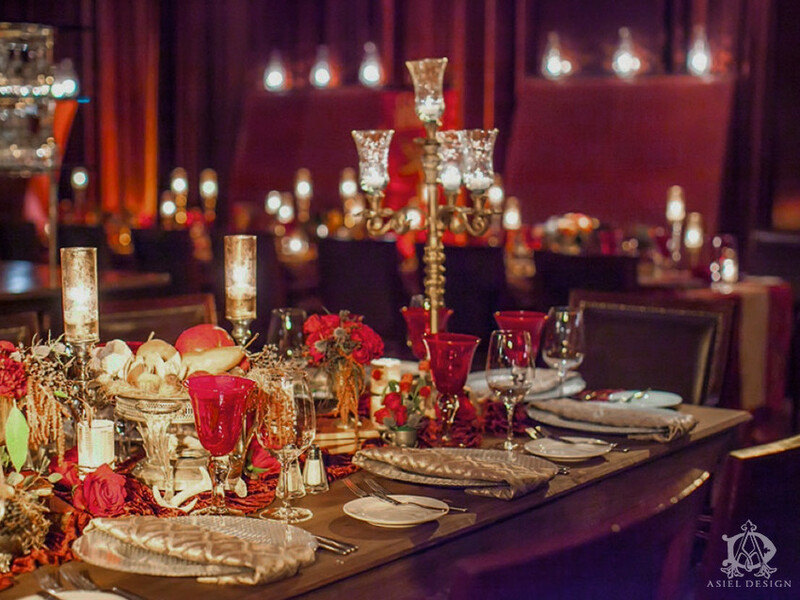 Frequently, we’ll create centerpieces for events, weddings, or industry parties and people will be blown away at how much goes into the floral designs because the common misconception is that “floral designs” only consist of flowers. 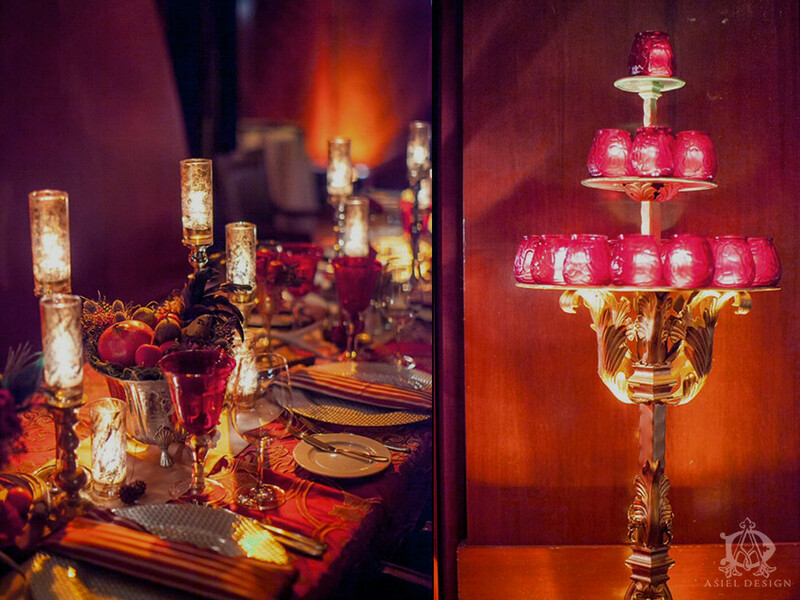 Honestly, this is also one of the best parts of creating design pieces for events – exceeding expectations and evoking emotion. 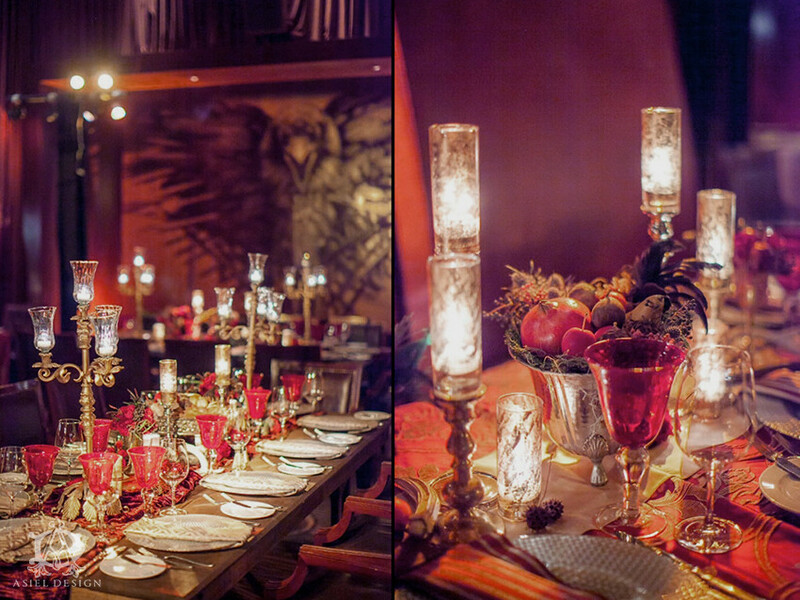 The event was truly amazing; our custom archway framed the King and Queens chairs (slide 11), the rich colors of gold, deep burgundy, coffee and deep purple were woven throughout the event space blending Game of Thrones into our reality for the night. It was a beautiful representation of the struggle between life and death, and abundance and scarcity displayed through the textures, colors and lighting. 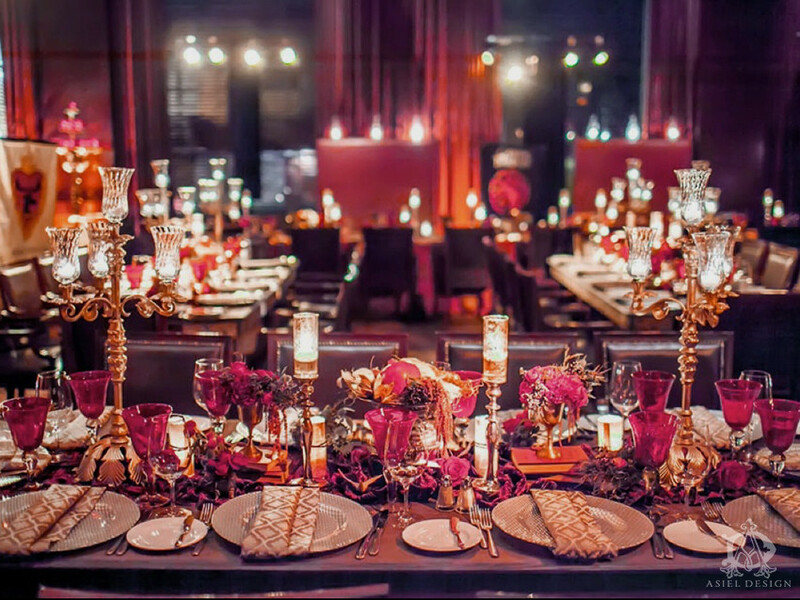 I personally want to thank Duncan Reyes, Gatsby Entertainment, Clane Gessel Photography, Classic Party Rental, Clift Hotel, and Tulio Flores for all of their creativity and passion with this event – truly a memorable night that will last forever. 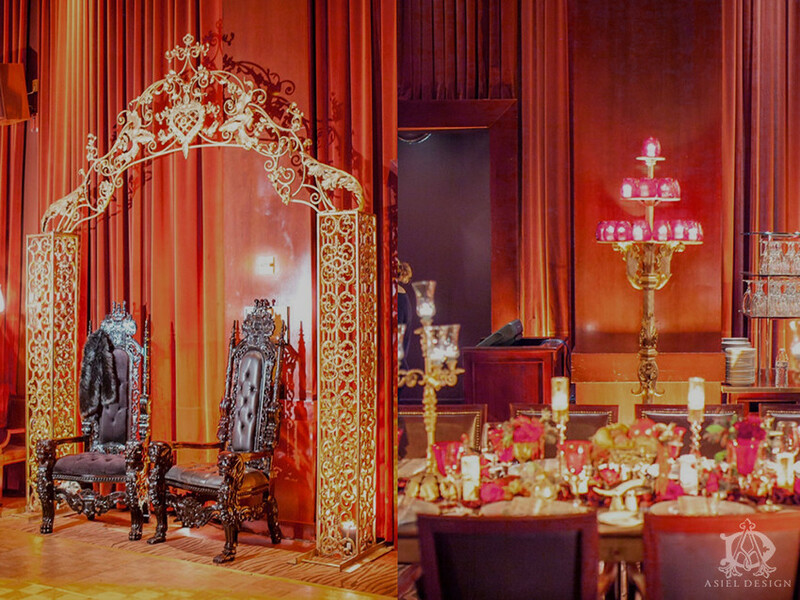 This entry was posted in Clift Hotel, Colors, Dark, Events, Fantasy, Gold, Gothic, Medieval, Old World, Red, Style and tagged asiel design, clane gessel photography, classic party rentals, clift hotel, duncan reyes events, event theme, Floral design, game of thrones, gatsby entertainment, industry event, medeival theme, renaissance theme, Tulio Flores. Bookmark the permalink.